Starting rice farming in Nigeria is a business that requires large capital. But nevertheless, you can still start small if you do not have the required capital for a large scale production of rice. Some of the important and required things you need to start rice farming in Nigeria are: capital, land, labour (manpower & skills), mechanical and technical facilities, raw materials and other materials needed like the plant seeds itself, the seedbed, etc. Rice farming is the most lucrative and profitable business in the agricultural sector of Nigeria and this business even grow better year by year. So, starting rice farming in Nigeria if done right will generate lot of income for you. Looking at the tons of rice Nigerians consume annually which has led to high importation of rice since the locally produced ones cannot circulate round, rice farming is a very profitable business. This post includes what you should do and how to do it for you to start rice farming in Nigeria. You can start your rice farming business by focusing on one, few or all of these areas; cultivating and harvesting rice, milling and processing rice (by constructing rice mills), distributing rice in wholesales and so on. You need to get the money you want to use for rice farming ready before you start any process on the business. You can get startup money by recruiting investors for your business. Startup money is very important in starting rice farming in Nigeria because it is a business that requires huge amount of money and also because a business barely survives without money, you cannot even start a business without money. 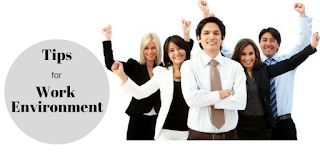 It is also important that you get cash flow for your business in order to avoid indebtedness or frozen business, you should be able to get money for your business whenever it is needed. After getting your startup money, you should also get information, if possible training on how the business of rice farming is done in Nigeria and so on. In choosing rice seeds, make sure you choose healthy and good ones. Do not settle for anything less than good and healthy because such seeds will die along the line. How healthy your seeds are determines the quantity of yield you will achieve. It is important that you choose your seeds based on the environment where you want to cultivate your seeds and also choose them manually. Choosing healthy seeds will help in improving your yield by 5 to 10%, will improve germination of the seeds, reduce weeds problems that can be experienced during cultivation, improve the resistance to diseases and pests and also harvest plants with consistent size. This is done by preparing seedbeds that will be enough for the seeds you have selected, then you need to prepare your plant seeds also. After this has been done, you then take the seedbeds to the nursery where they will be raise. Once you take the seedbeds to the nursery, you should cover them (especially the soil) with a polythene bag to avoid soil borne diseases and also to maintain the environment temperature. The only thing that can reduce your yield at this stage is if the plants are attacked by nematodes and soil borne pathogens. One of the most essential capital assets in rice farming business in Nigeria is your choice of land. Therefore, you need to be careful in choosing the land for your rice production. You should consider factors like drainage equipments and facilities, soil type, location, land space (because rice farming requires a large piece of land especially for drying the paddy rice after harvest). It is advisable that you choose a land that is in a zone where rice is made locally, is fertile and can retain water well. You can also choose a swampy land for planting your rice because it reduces the hassles of irrigation and also reduce capital. You should till your land to prepare the soil for the transplanting of your rice seedlings. This is very important because rice can’t do well with weed around. 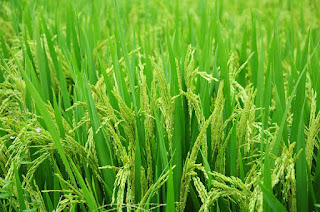 It is required that you remove weeds from your rice farm after some months of transplanting the rice seedlings, you can also apply herbicide to destroy weeds and also apply fertilizer to boost up the growth of your rice. Please, don’t just use any fertilizer on your rice farm. You should have tested the soil with the help of any specialist to know the kind of fertilizer that will do well on that soil. After 4-5 months of planting the rice, they will be ready for harvest then you are good to go. Make sure when harvesting and picking your rice, care should be taken to avoid stones. If you can afford the machine, it will be better or you can meet with any farmer that has and pay to sort it properly. These are not only the important things to consider when starting rice farming in Nigeria, you also need to put your marketing, price policy and distribution strategies into consideration to know what suits your business the most.